Cooper says his young Aussie playmaker has the ability to play in England’s top flight. Swindon Town manager Mark Cooper says Australian midfielder Massimo Luongo has the quality to become a regular in the English Premier League. Luongo impressed during Australia’s two friendlies against Belgium and Saudi Arabia over the past fortnigh, making his first start against the latter in a 3-2 win at Craven Cottage. Cooper told the Swindon Advertiser that he expects the 21-year-old playmaker to reach the top flight of English football. “I think he can go as far as he wants. He can run, he can play, he can tackle, he can head, he can score, so he’s got everything,” Cooper said. “If he keeps putting it all together he can play where he wants, he can certainly play at the top level for me. 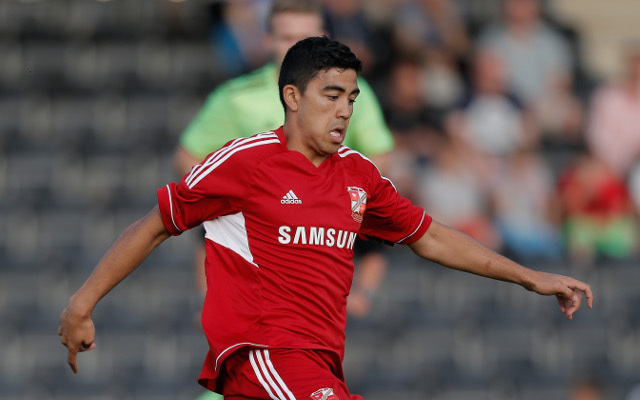 Luongo has played for Swindon for the past two seasons, with the Sydney-born man first joining the club on loan from Tottenham in 2014, before signing permanently for the 2013-14 season. Former Spurs manager Tim Sherwood is said to have been a huge fan of Luongo, having coached him in the Spurs’ youth and reserve teams. Luongo made one senior appearance under another former Tottenham manager in Andre Villas-Boas.